Effective presentation course provider Time to Market Ltd has announced the readiness of its new centre for presentation training in Leeds. Located in an attractive business setting with ready access to motorway links the training centre boasts all the amenities expected of a modern training venue. Now available for presentation training courses this modern business location boasts a full suite of audio-visual support tools, wireless LAN internet access and comfortable training premises to the South East of Leeds city centre. Access to the national motorway network is afforded via the new M1 extension (junction 46) and the A63 Selby Road. And, of course, Leeds railway station is only 6 miles from the training location. Andrew Ivey, principal trainer of Time to Market Ltd, said the new location would extend the range of management training opportunities in Yorkshire: “There’s a need for outstanding presentation skills training venues in Yorkshire and this new facility meets that requirement. I am really looking forward to holding courses here. 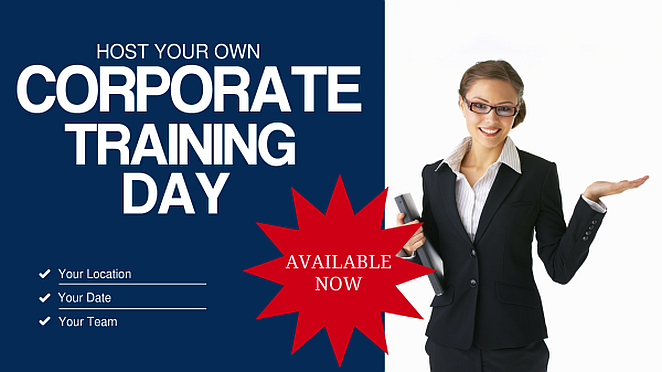 You too can train to be a confident presenter with presentation training in Leeds. We offer a range of presentation skills training courses: for you, for groups, for full days or half days—available for all abilities. You can train to be a confident presenter in Leeds—so you won’t need to travel far. 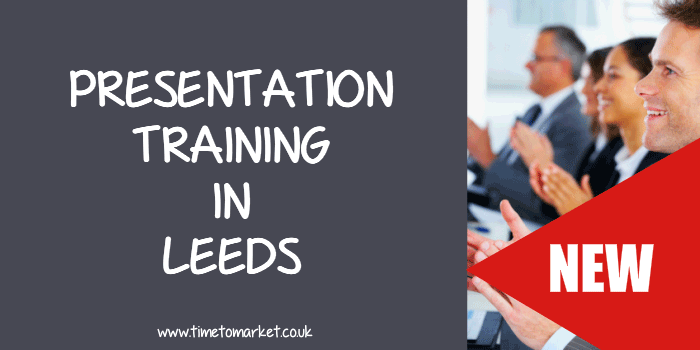 Presentation training in Leeds includes full refreshments and lunch during the day’s session, expert help and advice and all the training materials you need. So, to find out how you can become a confident presenter and improve your presentation skills in Leeds you can contact us now on 01344 859823 or email training@timetomarket.co.uk. Based in Oxford and active since 2001, Time to Market is expert in providing presentation techniques and training. We run off-site seminars and presentation courses throughout the United Kingdom. Also, we provide presentation tips and techniques with our regular newsletters.